By Sofia AK in Desktop. Updated on November 13, 2017 . Recently we posted a 10 WhatsApp Alternatives For Your Smartphone post which featured Viber at the top of the list. The great thing about these messaging apps is that they rely on Internet connection instead of your carrier service, so calls can be made for free and across all supported platforms. 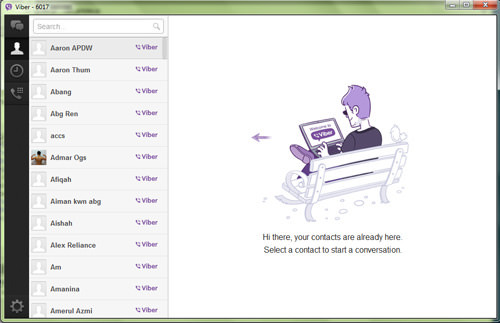 Viber now has taken it a step further by extending the service to desktop. And it is still free. Viber Desktop is a new update to the Viber app, which allows you to now make video or voice calls across multiple platforms. We’ve given the new app update a run to see what Viber has in store and you may be surprised with some of the new features introduced. Note that to be able to enjoy the new features Viber Desktop has to offer, users need to update their Viber smartphone app to version 3.0. Download or update your app via the following links. 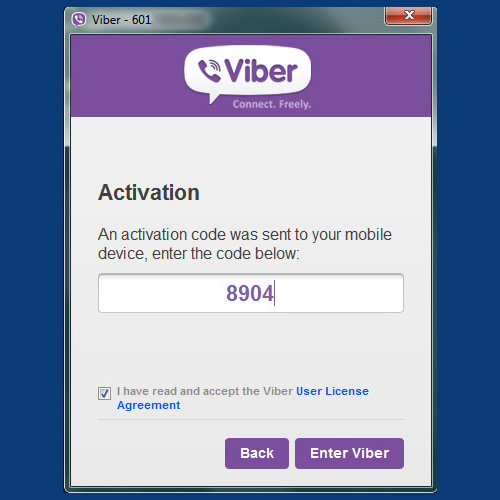 To start, first download and install Viber onto your computer. Run Viber. 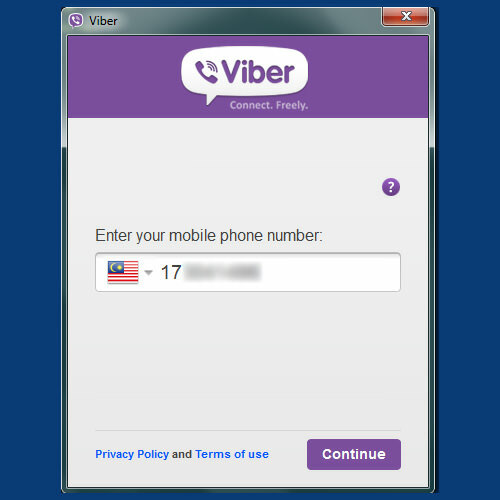 Viber will ask if you have installed the Viber app for smartphone (Android | iOS) on your phone. If you have, you can sync your contacts and chat history to the desktop version. Click ‘Yes’ when prompted. Punch in your mobile phone number. To change your country code, just click on the ‘Flag’ icon. After entering your mobile number, Viber will send a 4-digit verification code to your mobile device to verify that you own the number. Enter the code to verfiy this. 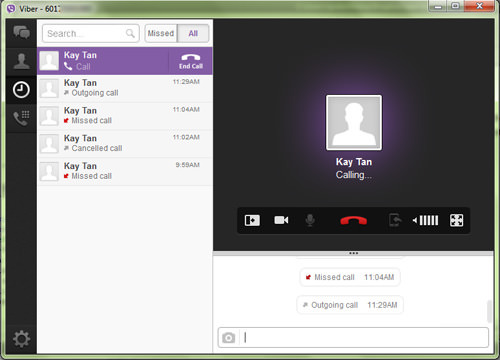 Viber will then load, and all your Viber contacts will sync up in the desktop version of Viber. On the ‘Contact’ tab, by clicking on a contact you’ll be able to view your chat history with them.You can call them or have a video call by just clicking on ‘Call’ or ‘Video’. Note that for Video call, it is currently still in beta, and you’ll need a webcam to use it. When you use it for the first time, the video feed needs to be turned on. To show your video feed to your friend, just click the video icon (second from left) inside your window. If you are making the call from desktop to a smartphone you will not have a video feed. It will just be a regular call. 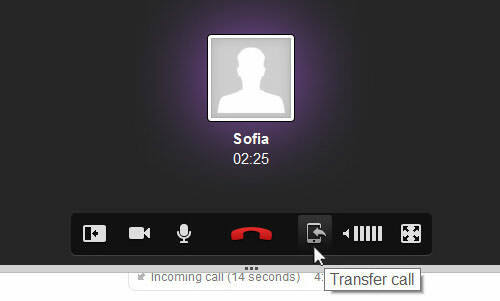 One fun thing you can have with this Viber update is you can seamlessly transfer calls between one device and another. This means if you are entertaining a video call on your desktop, you can transfer it to your smartphone without hanging up and making another call. To do this, in the middle of the call, tap on the ‘Transfer call’ button to the right of the red ‘hang up’ icon (see below). The device the call is transferred to will start ringing and you can pick up the call from there. Another handy feature you can use on Viber is the ability to send your location. To do this, just send a ‘Location Message’. 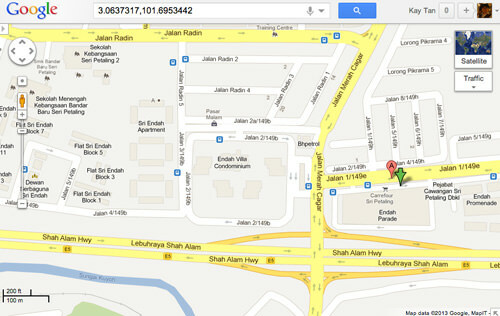 The receiver can then open up the link which shows your location in Google Maps. We’ve also found a few limitations. 1. So far, the app does not support multiple conference. When you are in the middle of a call, you cannot receive another call. The caller will see you as ‘Busy’ and you will receive a ‘1 Missed Call’ notification from the caller. 2. While you can have video call on the desktop app, you cannot however, add contacts via the desktop app. Contacts can be added via the smartphone app and then synced over to the desktop app, hence this isn’t a big problem. 3. If you fancy using stickers or emoticons in your text messages, then you might want to go back to your regular messaging app rather than try this one one out.